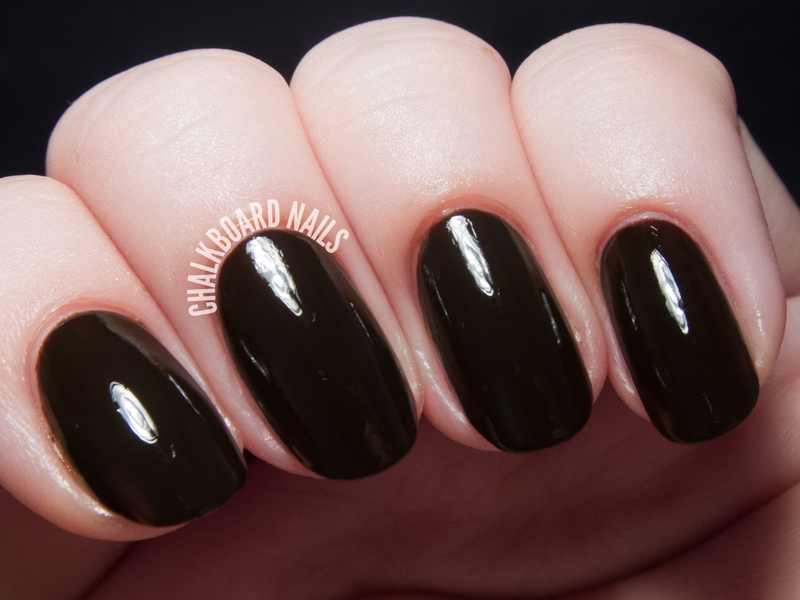 Belle Epoque is a dark chocolate creme polish. The formula was smooth, but it was still a tiny bit streaky after two coats. I've used three here. It looks very near black indoors, but when you get it in the sunlight, the brown shows better. 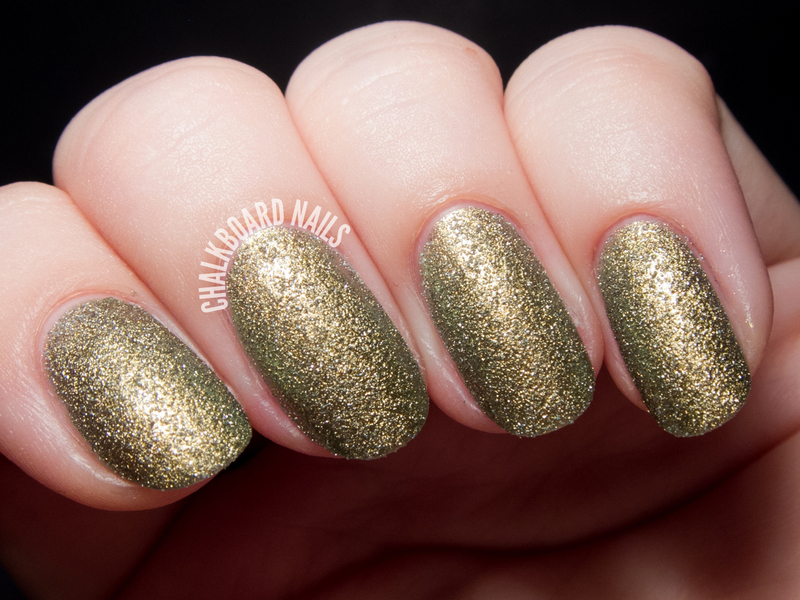 Gilded is similar to Chanel Peridot or OPI Just Spotted the Lizard, but with a very very intriguing twist... it's textured! I used two coats for the swatch here. Isn't it just gorgeous? I'd love to try layering it over black, as well. I know textures have started to fade away but I'm happy to see this one. 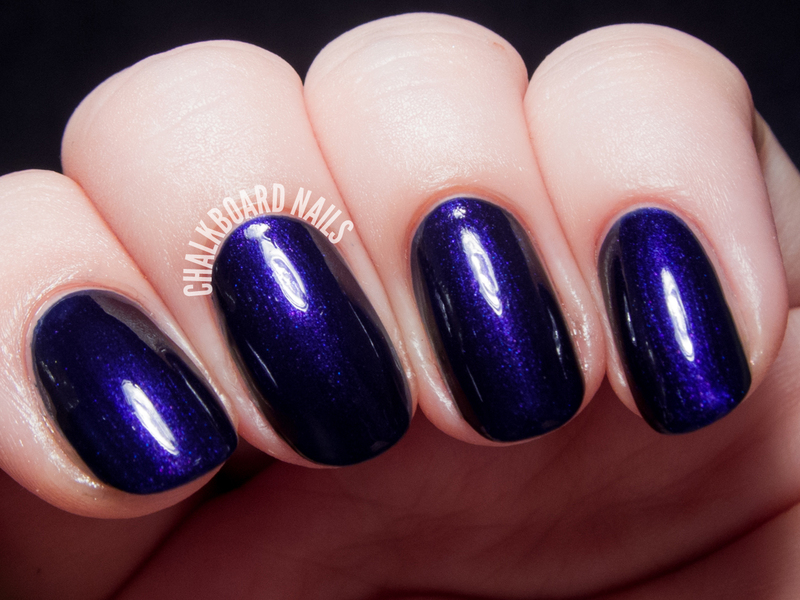 Heirloom is a deep, blue-purple shimmer. Like Belle Epoque, it's quite dark, but this one has a bit of that "glow from within" to it. I only needed two coats for coverage, but beware: the blue base on this one stains. 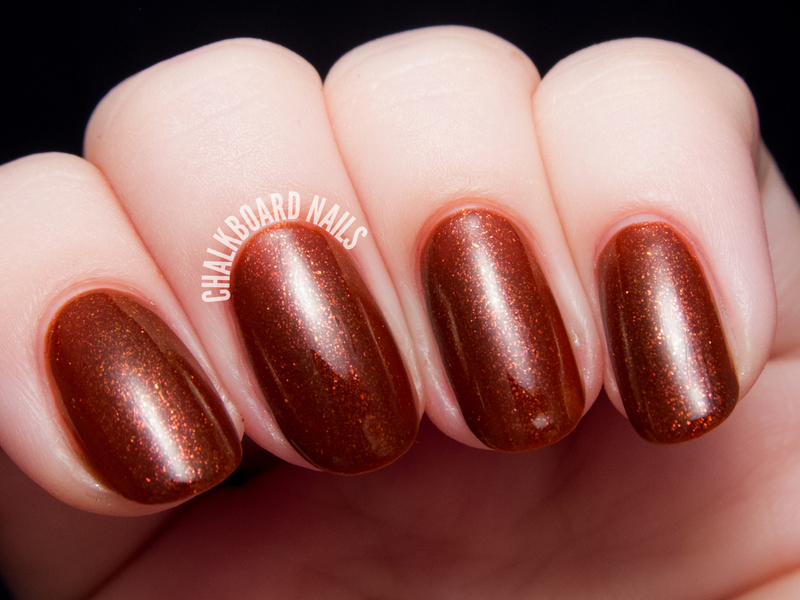 Lustrous is a brick red with heavy shimmer. This was one of my favorites in the collection. It's very autumnal, almost like spiced cider. Lustrous was close to full coverage at two coats, but I went with three for good measure. 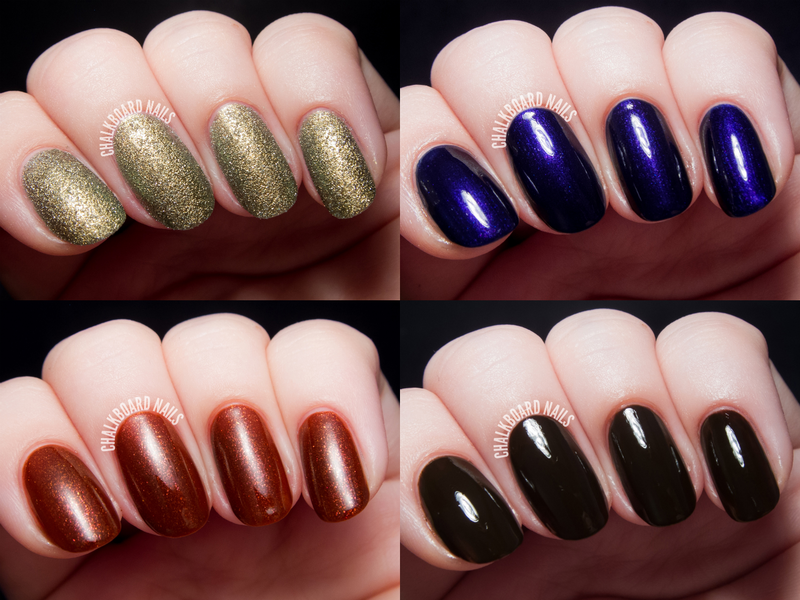 My top picks are Lustrous and Gilded. Lustrous is the perfect fall shimmer, and Gilded is just so strange and cool. The other two shades are too dark for my personal taste. Dermelect polishes are available on Dermelect.com, in Ulta stores, and on Ulta.com. Gilded is really interesting with that textured finish!